Today, Huawei’s CEO, Ren Zhengfei, said in an interview that Huawei is “open-minded” and that they can consider selling to their own baseband to any company, including Apple. Ren Zhengfei emphasized that Huawei will consider selling its 5G chips to other smartphone manufacturers, including Apple. 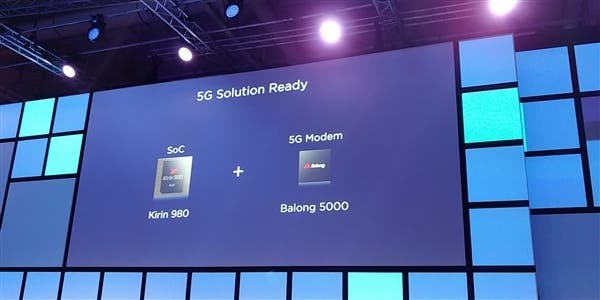 He debunked the earlier impression that Huawei will only consider sales of its Balong 5000 5G chip only if the buyer is Apple. Ren Zhengfei also had a couple of positive words about Apple’s CEO “Mr. Jobs is great, not because he created Apple, but because he created an era, the mobile Internet era.” Ren Zhengfei told CNBC, “It is a little understatement to say that he is great. I think he is super great. ” Huawei’s consumer business became its largest department in 2018, surpassing its core network business. In this regard, Ren Zhengfei admitted that Huawei made mistakes in the smartphone strategy, but they learned from it. “We set prices based on cost, but the cost is relatively low. Our low cost comes from two reasons. First, as our technology develops rapidly, we manage to reduce the cost of the product. Second, due to the introduction of Western Management Method, our operating costs are also kept at a low level, which makes it difficult for Western companies to compete with us. We have already made a lot of reflections on this,” he said. Regarding the strategy of Huawei’s mobile phone, Ren Zhengfei said that it is still profit-oriented and cannot lose the company’s profits because of market share, which is unfavorable for innovation.